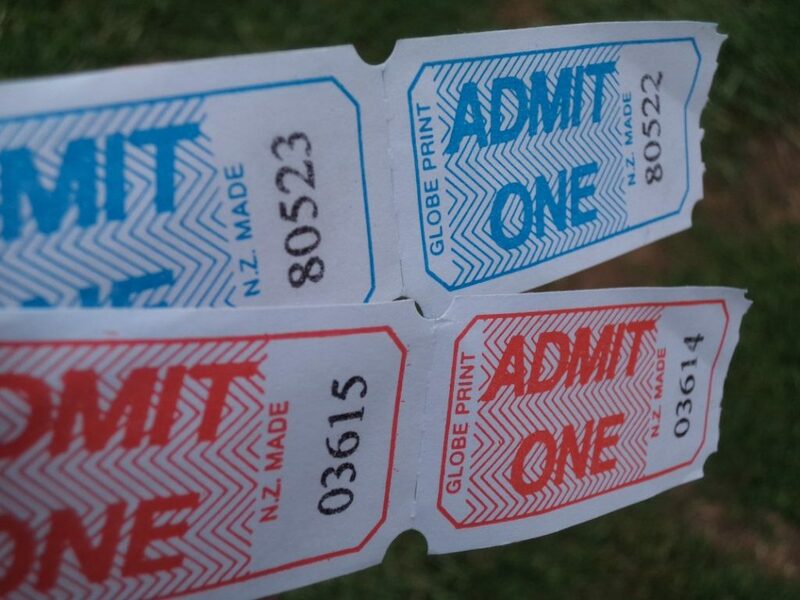 On the weekend was our town’s one-day country show. 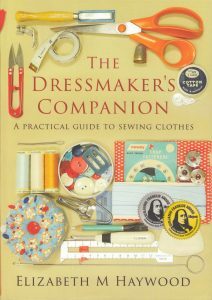 I had decide two years ago to enter something in the dressmaking section, but last year I was too busy with The Dressmaker’s Companion and didn’t get around to it. There were hardly any entries that year, and I vowed to make sure I was organised this time. 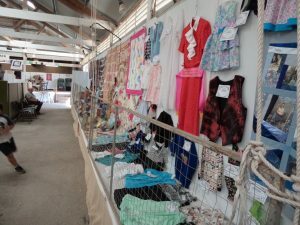 You can read about last year’s show here, and two years ago here. 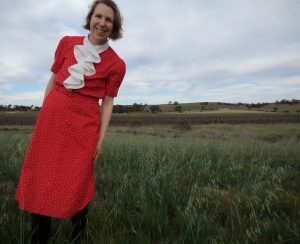 I made a dress using Vogue Vintage 8767, a pattern I bought ages ago. It’s the brown dress on the envelope. The red fabric I used is old; it’s a dress length bought from Rock N Rustic, a secondhand/collectible shop in Adelaide. 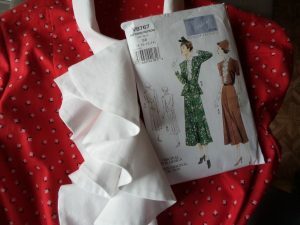 The white contrast for the collar and flounce was part of the 1960’s fabric given to me last year (read about it here). 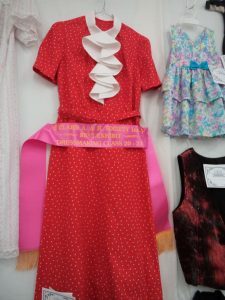 The whole dress really is vintage in pattern and fabric! 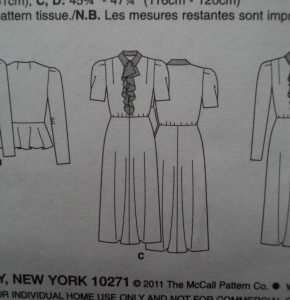 The pattern has a hook and press stud placket at the side, as Vogue Vintage dresses often do, and the centre front does up with hooks. The sleeves have three darts in the sleeve head. I made a matching covered belt to go with it. I read a few reviews of this pattern before I started (here’s a black and white one, here‘s a very pretty blue one with jacket, this red one got made for a play and this one‘s on Pattern Review), and everyone said it went together well with no problems. They were right! It went together very easily, although not quickly, and was interesting to make. The Vogue size 14 is pretty much an Aussie size 10. 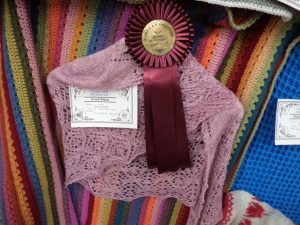 As well as the dress, I also made a lacy shawl for a knitting entry. 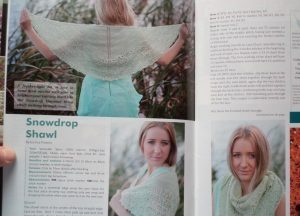 The pattern is from Yarn magazine issue 32. 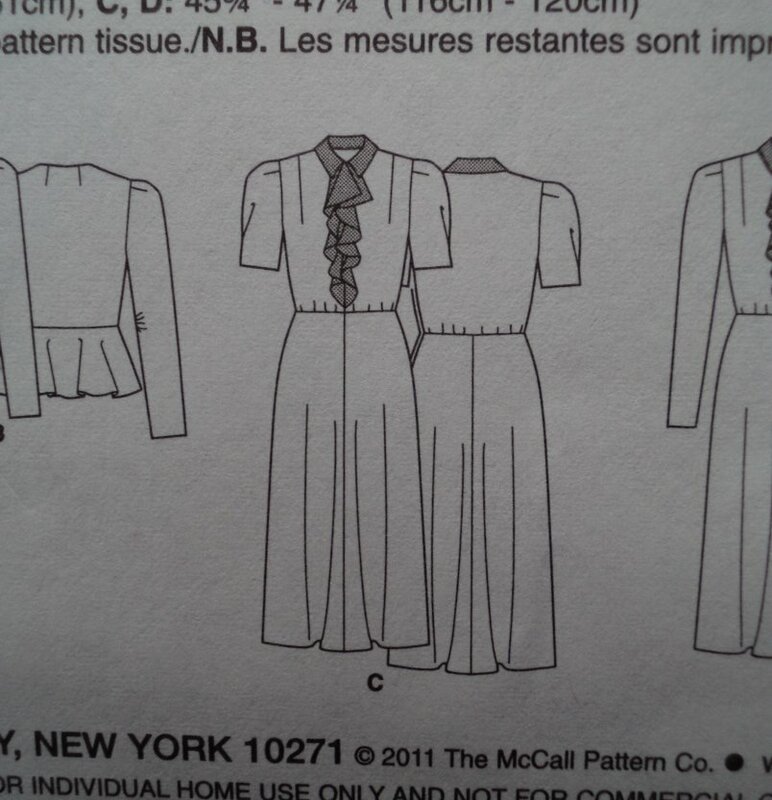 I tech edited this pattern for the magazine and liked it very much. So off we went to the show. 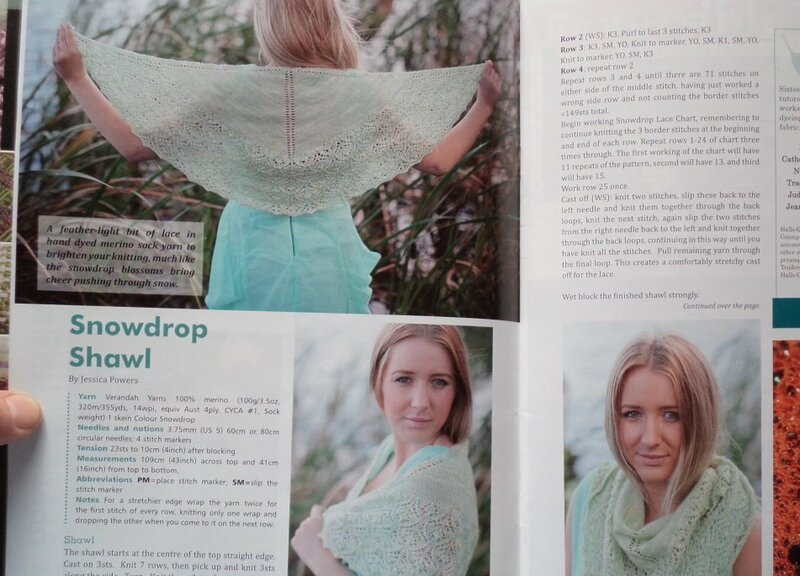 …and so did the shawl! 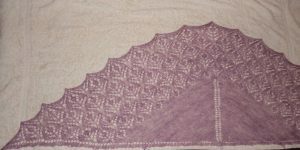 There was some beautiful crochet and stranded colour work to look at. 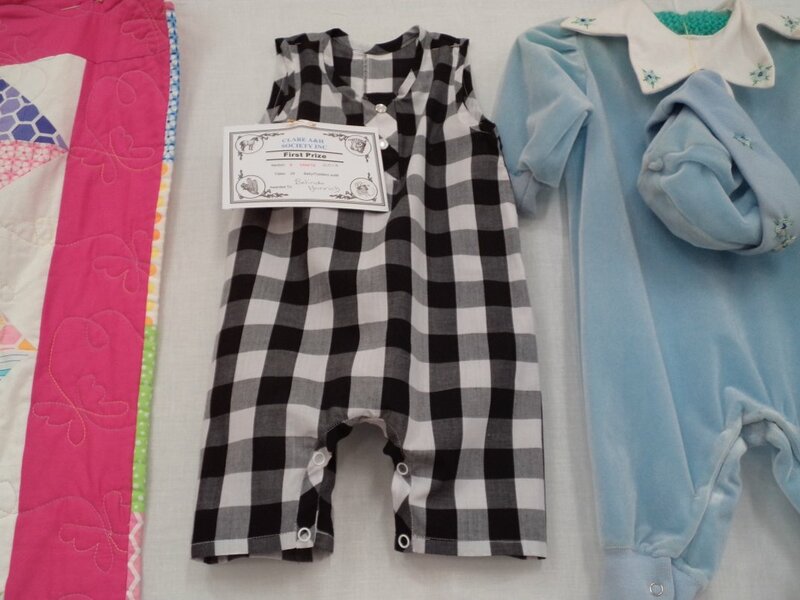 As if that wasn’t enough, a baby jumpsuit made by one of my students also won first prize. It was the first garment she’d ever made. 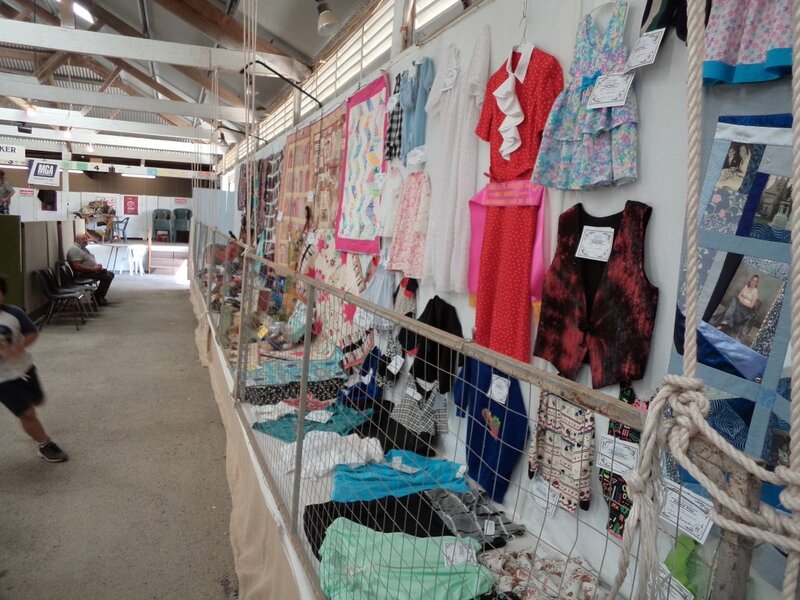 Are you a show entry maker? Thanks Susan! It’s comfortable to wear too. Congratulations Liz! Fabulous Firsts for beautiful garments. How exciting for your student too.